The Ultimate Bangle. Twist, open and let your imagination play! 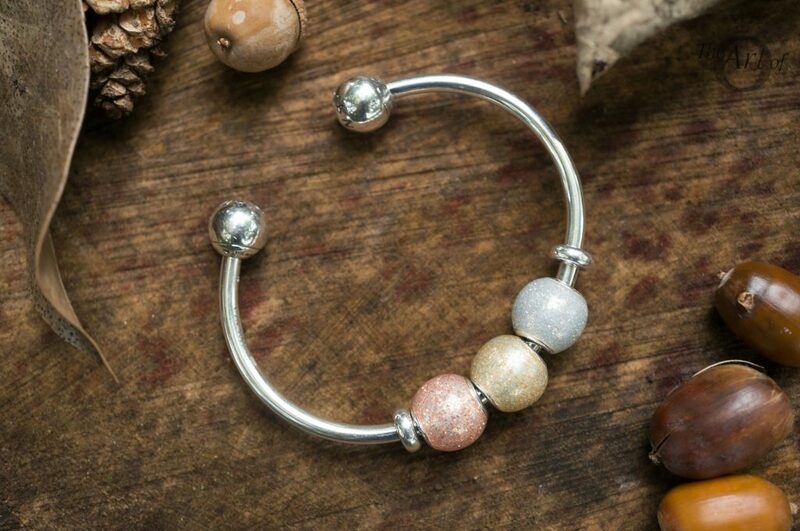 Way back in March we heard the first news that a PANDORA Open Bangle was to be released and due to production issues our impatience and excitement grew! Finally the PANDORA Open Bangle Bracelet (596477) was released with the Autumn 2017 Collection. 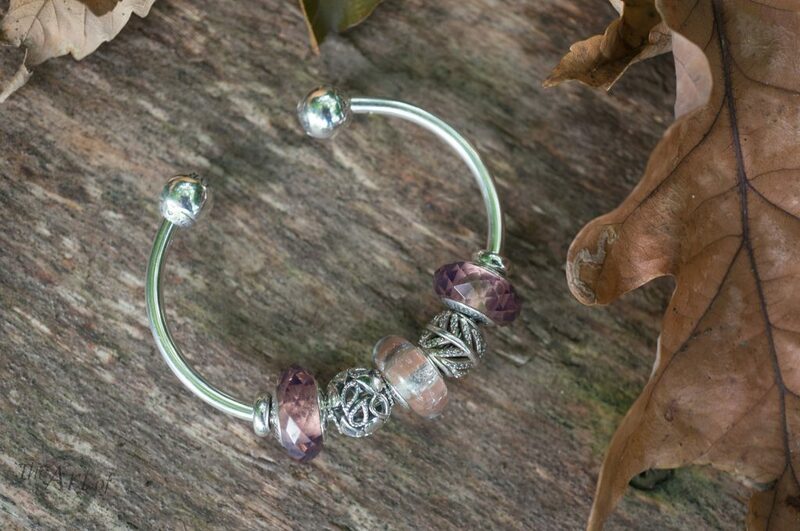 Some may wonder; “What makes the PANDORA Open Bangle special?”. I asked myself the same question, as I already had a PANDORA Moments Bangle, why would I need another one? The answer is in the design of the PANDORA Open Bangle. Unlike the older Moments Bangle, the Open Bangle has an oval shape. This means it doesn’t spin around, leaving your well thought out design hidden under your wrist. Plus, as it can be worn either way around, you have two bangles for the price of one! 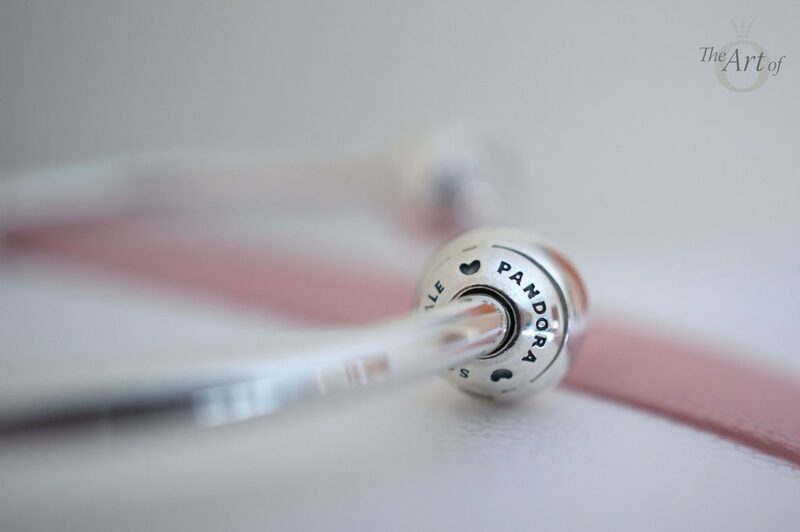 The PANDORA Open Bangle Bracelet is made from .925 sterling silver and has two engraved end caps and two silicone grip stoppers. 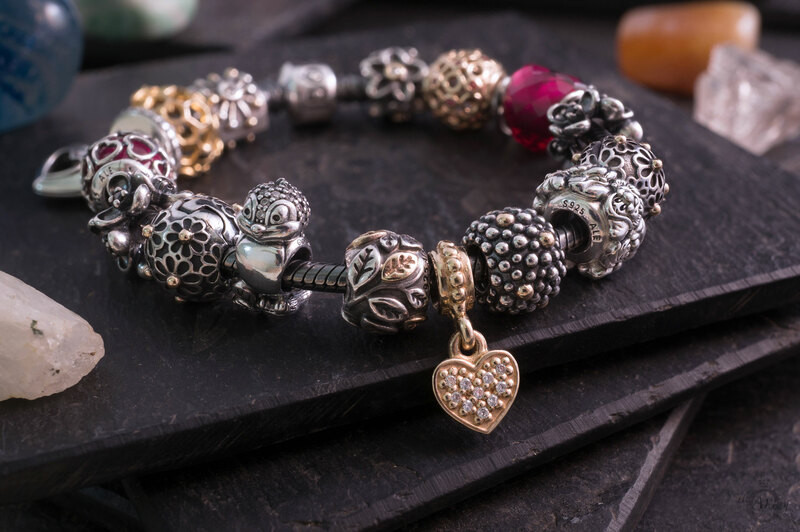 If you desire, it can be worn alone or filled entirely with charms! 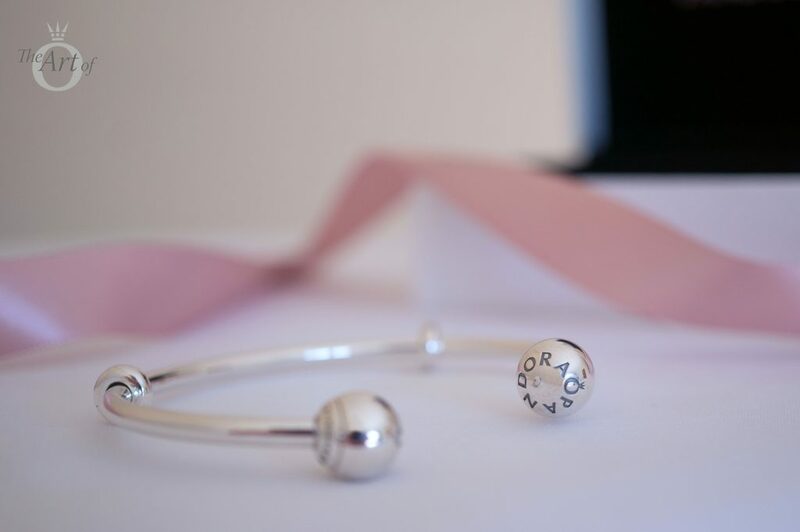 The PANDORA Open Bangle Bracelet is available in three sizes; size 1 – 16cm, size 2 – 17.5cm and size 3 – 19cm. As the PANDORA Open Bangle is a smaller fit, if your bracelet size is in-between two sizes, it would be best to opt for the larger size. As I plan to only wear a few charms on my Open Bangle I picked the smaller size, which is perfect for me. The usual PANDORA ‘S925 ALE’ and ‘PANDORA’ hallmarks are engraved around the end caps of the PANDORA Open Bangle. There are also two sweet engraved love hearts which is a cute little touch! 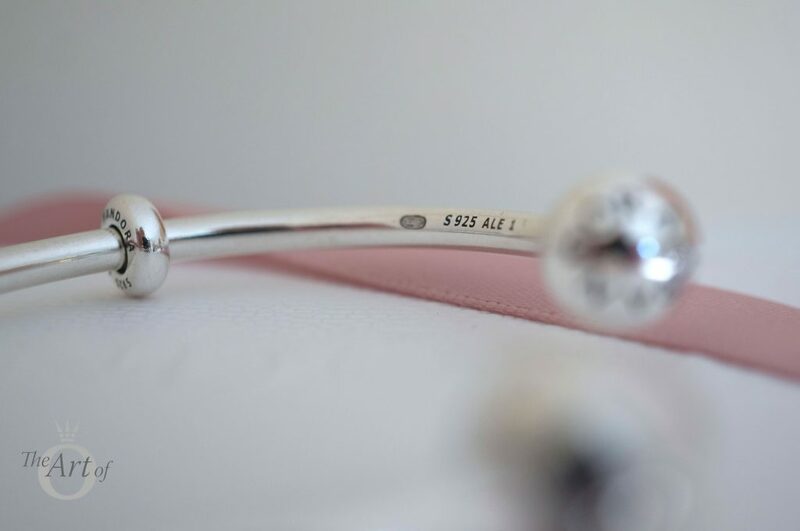 Another set of hallmarks are on the inside of the PANDORA Open Bangle including the bangle size number. The silver silicone stoppers also have ‘PANDORA’ and ‘S925 ALE’ marked on one side. 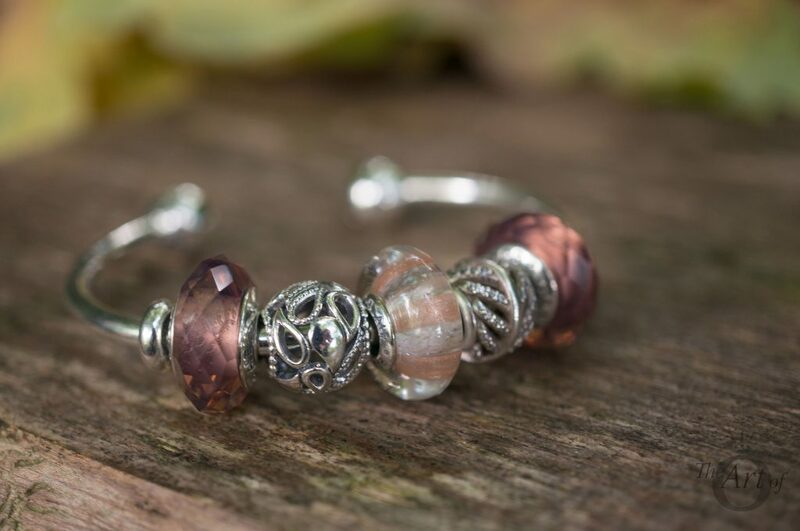 These little stoppers are amazing for keeping your bracelet design in place. It is easy to unlock and remove the end caps from the PANDORA Open Bangle. Simply push the end cap down, then turn it gently. To add and lock the end cap, repeat the process but turn it gently in the opposite direction. If you fancy a change you can also swap the PANDORA Open Bangle end caps. Currently there are 5 end cap designs available; Shimmering (796541CZ) for $80 USD / $90 CAD / £70 / €79 , Pavé (796481CZ) for $100 USD / $110 CAD / £90 / €99 , PANDORA Logo (796489) for $65 USD / $75 CAD / £55 / €59 , Pink Pavé (796481PCZ) for $100 USD / $110 CAD / £90 / €99 and Purple Pavé (796481CFP) for $100 USD / $110 CAD / £90 / €99 . 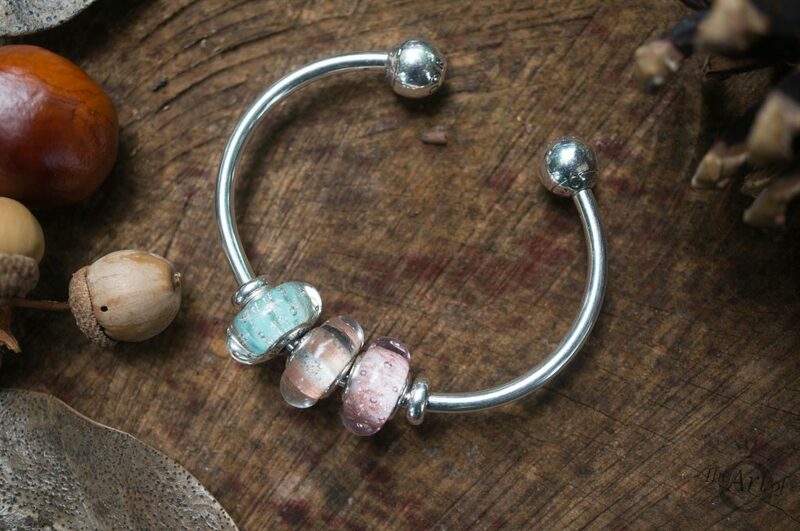 The PANDORA Open Bangle is ideal to create mini themes. In this design I showcased three different heart charms; the Pink Bow & Lace Heart (792044ENMX), Floral Heart Padlock (791397) and the PANDORA Rose Sparkle of Love (781241CZ) charm. 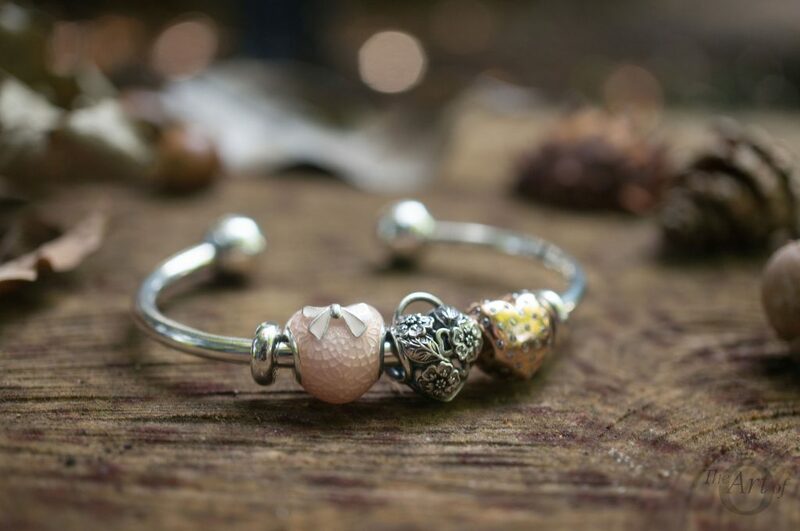 Just because the PANDORA Open Bangle is silver, it doesn’t mean you can’t mix your metals and wear PANDORA Rose charms! 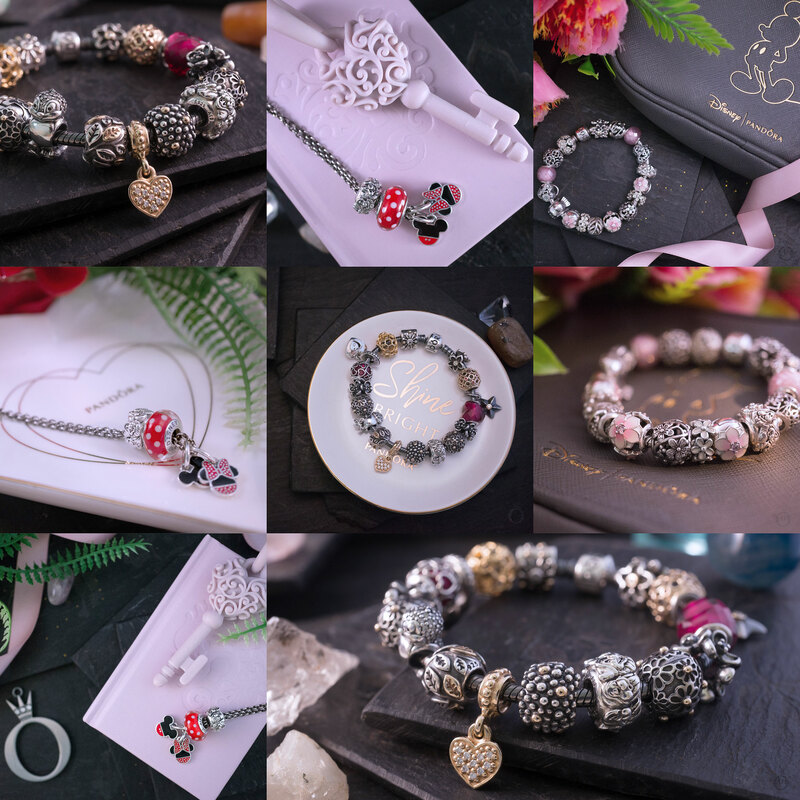 As my PANDORA Rose collection is quite small I love being able to keep a sweet clutster of Rose charms together on the top of my wrist. It would be awesome if a PANDORA Rose Open Bangle was released too! 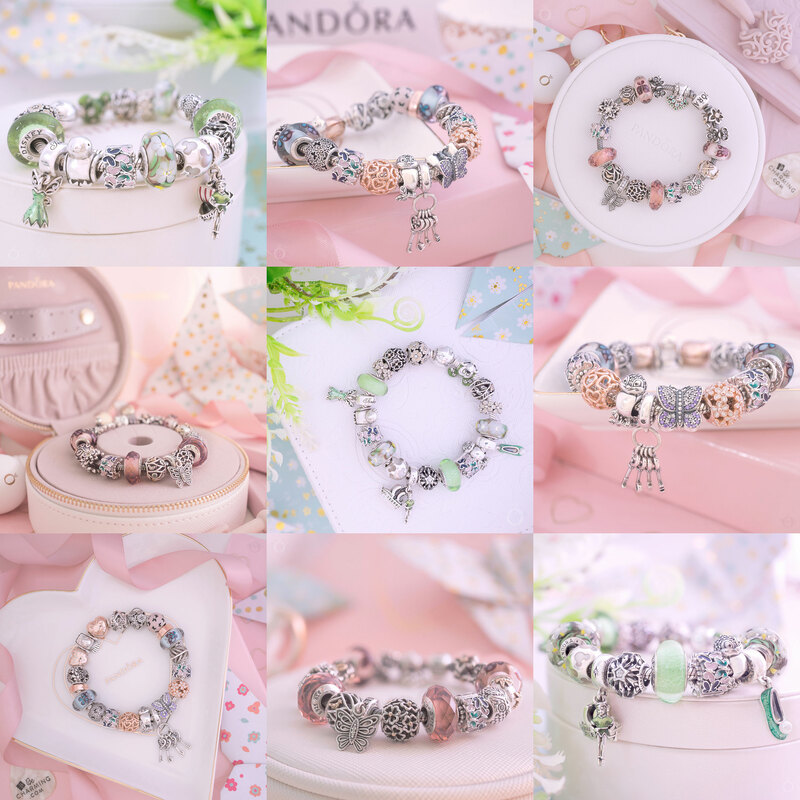 PANDORA murano glass charms can be so beautiful and unique and with the PANDORA Open Bangle you can display your current favourite collection. 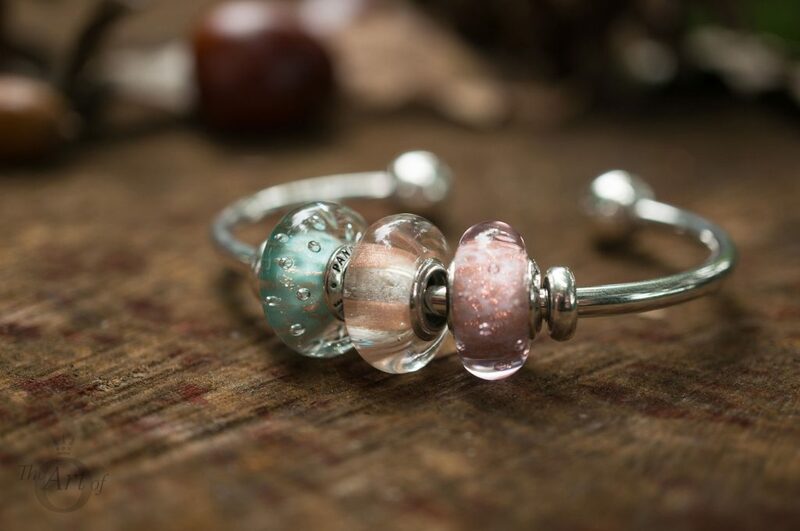 I adore the calming pastels of the Mint Glitter (791669), Shimmering Stripe (796248) and Pink Glitter (791670) Murano charm together. 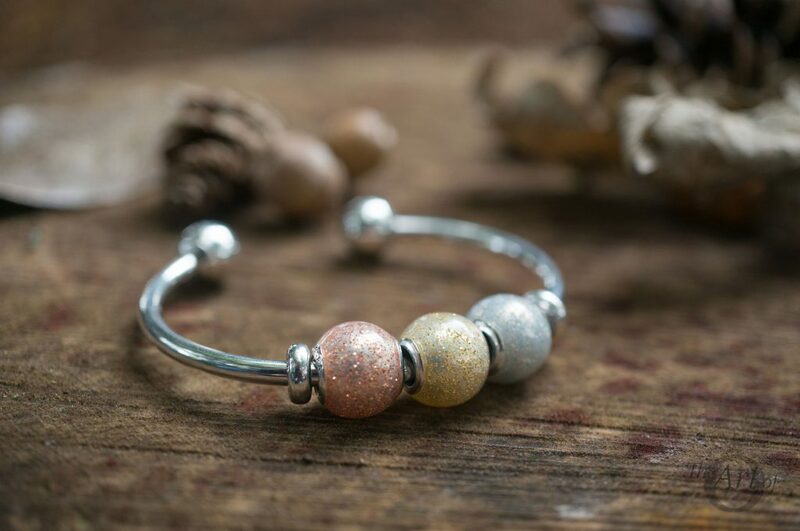 The three Glitter Ball charms in Silver (796327en144), Gold (796327en146) and Rose Gold (796327en145) create a truly autumnal look on the PANDORA Open Bangle. I like to devise different designs for my PANDORA bracelets to match my mood or my outfit. The PANDORA Open Bangle is excellent as it is quick and efficient to add the charms, which is especially helpful when I am running late! 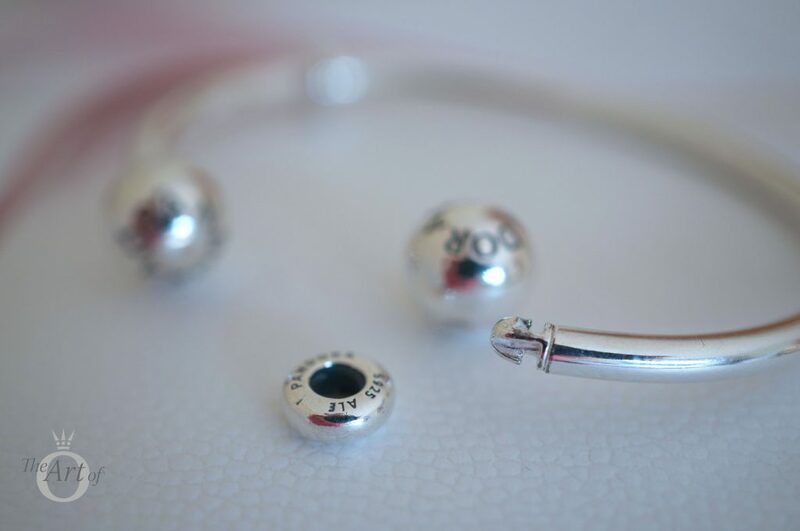 My personal preference is to wear between three to five charms on the PANDORA Open Bangle. Although at first I was unsure whether or not I ‘needed’ a PANDORA Open Bangle I have since discovered it is my go-to bracelet! My verdict on the PANDORA Open Bangle? It's opened my heart! The PANDORA Open Bangle Bracelet (596477) is $75 USD / $85 CAD / £60 / €69 and is available from our preferred PANDORA retailer BeCharming.com. 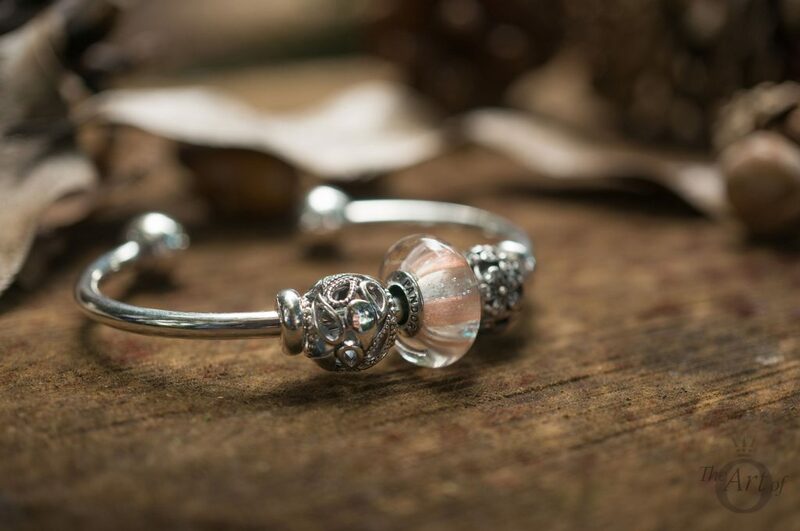 Have you bought the PANDORA Open Bangle Bracelet? Which is your favourite bangle? Let us know in the comments below. Hi Dora, I didn’t like the open bangle, but after reading your review I changed my mind, this bangle it’s beautiful ¡ I love your murano’s design! 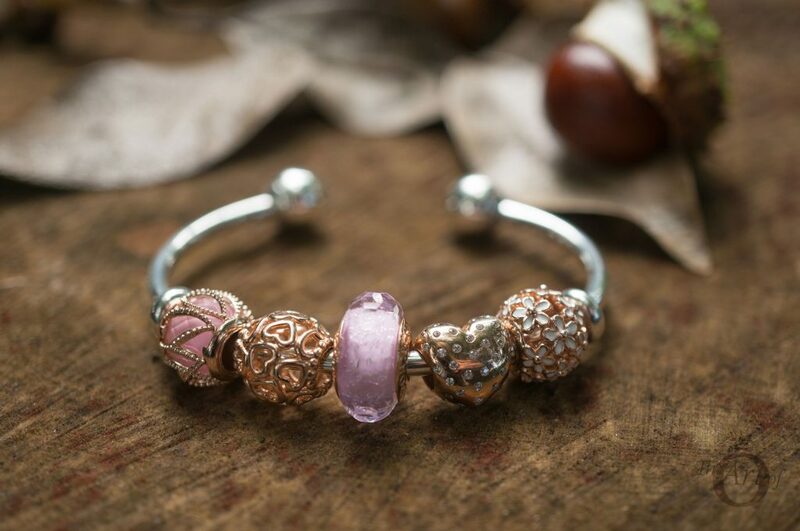 I imagine this bangle with the Pandora Club Charms and definitely it has to come home soon. Thank you for this amazing review! Thank you so much for your sweet comment! I didn’t realise how much I loved the Open Bangle until I started playing around with different designs. Often I don’t want to wear a full Moments bracelet and the Open Bangle is ideal for showing off favourite charms. I really love your idea of using it with all of the PANDORA Club charms, that would look awesome. Please share a photo of it when you get the Open Bangle home with you! I ordered mine last weekend and it’s supposed to arrive this week. Can’t wait!!! Thanks for the detailed review! ? Yay! I hope your Open Bangle arrives soon! The postman always seems slower when you’re waiting for a PANDORA delivery, doesn’t he?! I’m so glad you enjoyed the review and I hope you found it helpful for inspiration. I enjoyed your review of the Open bangle. Thanks for sharing your pretty designs. I love this bangle! It has become my “go to” bracelet. Quick and easy to design and no worries fastening as I go out the door! I’d like to have a couple more to stack. Thank you! It really is nice and quick isn’t it? I feel naked without my PANDORA but with the Open Bangle, no matter how rushed I am, I can style and go! I love this bracelet it is on my very long wish list I like the idea of a rose gold bangle that would be cool. Hi Dora, may i know if the stopper can fit into smooth threadless moment bracelet? I just checked and unfortunately the stopper is too small for both the Smooth and Mesh bracelets. If you want a cheap clip solution for the Smooth Bracelet, you can buy little silicone rings on amazon or eBay which can be placed on the bracelet and then any non silicone PANDORA clip and be worn on top, I do it with my Bangle and Leather bracelets. I hope that helps.